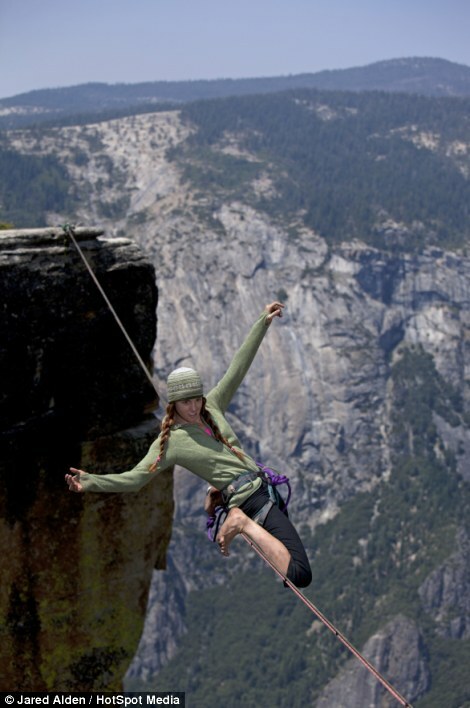 A fearless female performs a pants move – perching on a rope thousands of feet in the air in her undies. 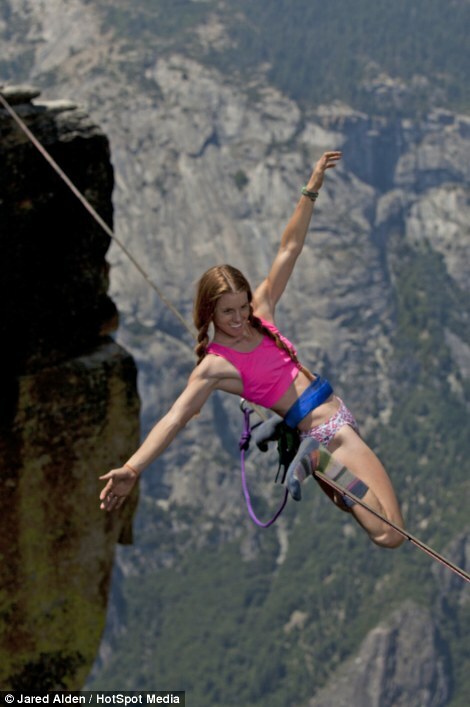 Hayley Ashburn showed off incredible skills at high altitude, including a knee drop and then the SPLITS. 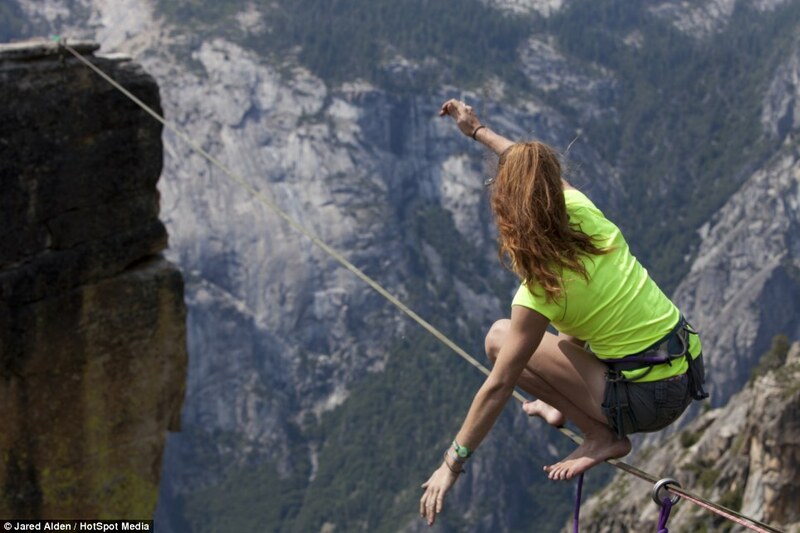 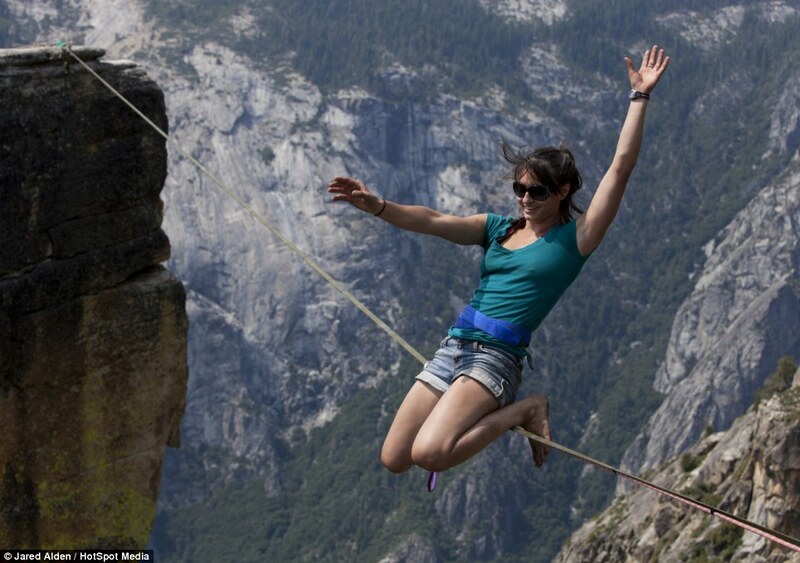 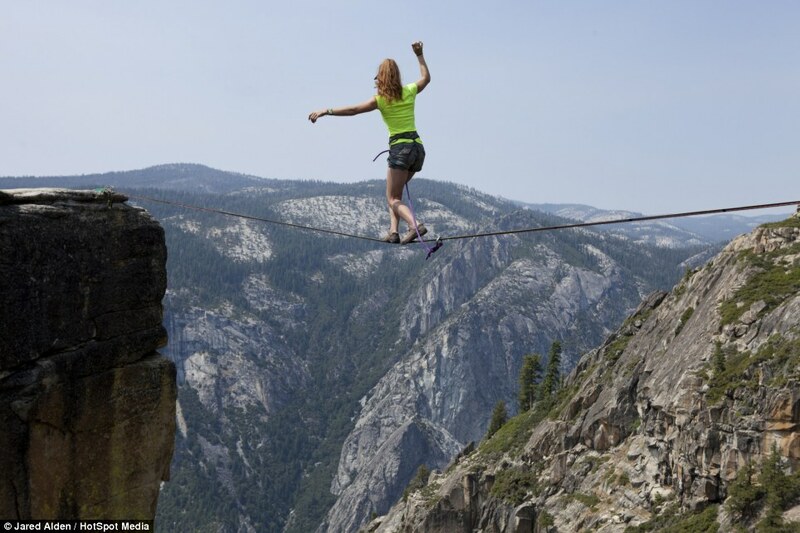 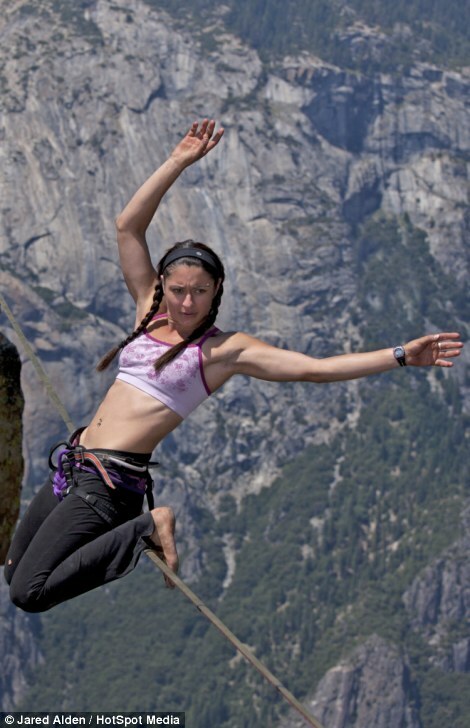 She and fellow pro slackliner Emily Sukiennick showed their incredibly skills at 3,300ft above sea level .